With facilities in Santa Clara, CA and Lebanon, NH FUJIFILM Dimatix is the world's leading provider of inkjet printheads for commercial and industrial printing. They are evolving inkjetting into a micro-production process that will revolutionize the manufacture of electronic and bioscience applications. The company's technology innovations and world-class fabrication processes enable high-performance, micro-precision printing and deposition of traditional inks and nano-particle fluids on all types of surfaces, including flexible substrates. The company has experienced tremendous growth over the last 5 years and expanded their facilities in Lebanon, NH to meet the need for increased production. This expansion necessitated the hiring of an additional 60-90 workers in production, along with a dozen positions in engineering and administration. Faced with an extremely low unemployment rate in the Upper Valley region of New Hampshire and Vermont, the company struggled to find employees. 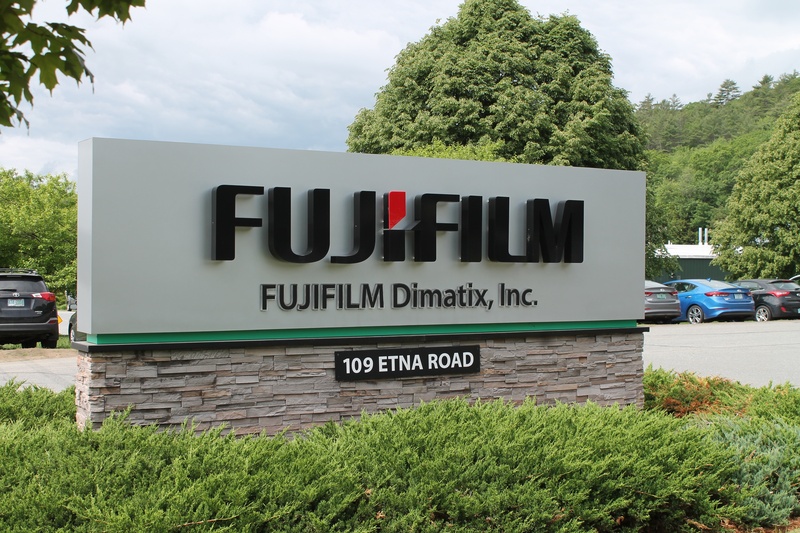 Even though FUJIFILM Dimatix employees 600 people at their Lebanon campuses, the company was not widely known within the community. As a result, it was difficult to effectively advertise their open positions and explain to the local workforce that it is a great place to work. Hydrate Marketing was hired to examine FUJIFILM’s local and internal marketing processes in order to determine how the company could effectively deliver its message and increase awareness within the local community. The company was relying on traditional, outbound marketing techniques like radio and newspapers to advertise positions, but with minimal success. We determined that because of a lack of online presence in the local market, the company was limited in their ability to give potential employees insight into their company culture and workplace values. Hydrate Marketing began with developing a social media marketing plan that included regularly generated content on Facebook, Twitter, Instagram, and LinkedIn. At the same time, we developed a story board for a video that would give insight into the inner workings of the company and its culture, while showing the facility, the various company departments, and employee interviews. With social media stories, press releases, and website landing pages, we also began sharing the stories of FUJIFILM Dimatix’ involvement in community outreach through their ground-breaking STEM internship, and their robotics team sponsorship with local schools. Within a matter of weeks after rolling out their social media and public awareness campaigns, all open production positions were filled and resumes were flowing in from across the country for engineering positions. More importantly, the wider community is learning more about FUJIFILM Dimatix and the role it plays as a primary local employer, STEM education leader, and community partner. Do you want to grow your manufacturing business?